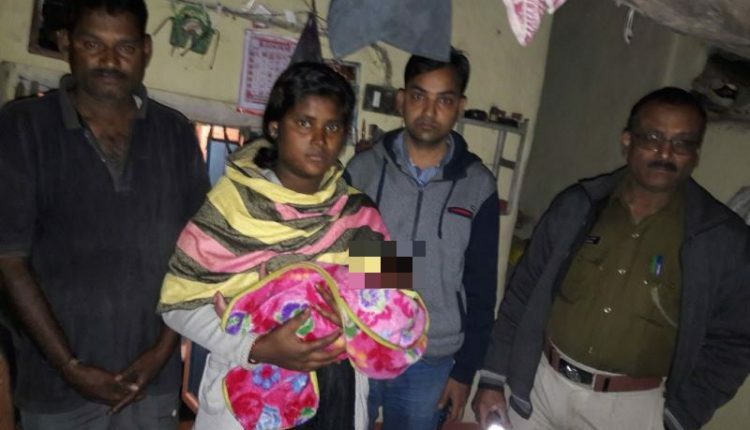 AN 11-day-old baby boy was sold by her mother for Rs.12,000 due to poverty at Banjari village on the outskirts of Jharsuguda town, police said on Thursday. The 20-year-old woman, identified as Sarita Ansari, had given birth to the baby at VIMSAR in Burla on January 13. However, unable to take care of the newborn due to acute poverty, she was forced to sell the baby to Ramakrushna Sahu and Pradeep Guru of Sambalpur district the very next day for `12,000. Acting on the information of Childline, Badmal police rescued the baby and arrested Sahu and Guru of Balbaspur village within Sason police limits in Sambalpur district. Childline coordinator Ashis Panda said in a bid to save the baby boy, poverty-stricken Sarita had to sell him. Reportedly, Guru was in touch with the woman to take the newborn on delivery and had even paid `8,000 in advance. However, on a tip off about the incident, Childline officials contacted Badmal police and reached Balbaspur where the newborn was rescued from Sahu’s house. Sources said the baby was born to Sarita and Raju Ansari who are staying in a rented accommodation at Banjari. The couple was driven out of their respective homes by their families for being in a live-in relationship. Though Raju worked as a mason, he was unable to make ends meet and the couple was in dire financial straits. Sarita reportedly told police that as it was difficult for her to take care of the newborn due to financial constraints, she was forced to hand over the baby to Sahu with help of Guru. Chairman of the Child Welfare Committee Janmajaya Das said they are verifying the claim of sale of the newborn. Further investigation into the matter is on, said police.